There’s just nothing like a clogged drain in a tub, sink, or shower to get the day off to a bad start. Ack! Now what? Gallons of caustic drain cleaner? A mad online search for an available plumber? If you’ve got drains it’s a problem just waiting to happen—but one you can prevent with a slickest little $5 gadget you’ve ever seen. Today, I want to share this fabulous anti-clog gadget plus seven other gadgets that I love and adore because they make my life easier. Besides that, they’re just plain cool! 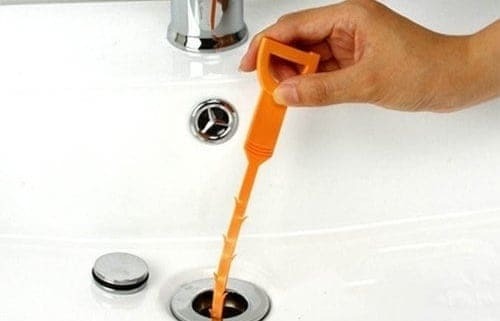 It was a dear reader who introduced me to Zip-It, an ingenious $5 drain cleaning tool that works like a champ. 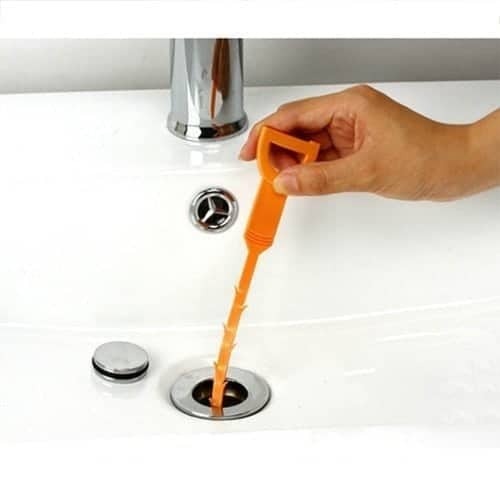 Zip-It is a 20-inch plastic snake with barb-like hooks that when inserted into any drain, twisted and then pulled out, easily removes all the hair, gunk and stuff that builds up to eventually cause a major clog. Zip-It is 100% environmentally safe, involves no toxic fumes. Use it once a month to maintain clean drains in your home and you can say buh-bye to future clogs and expensive housecalls. Totally genius. About $5. I’m pretty sure I’ve tried them all—every type of can opener out there. 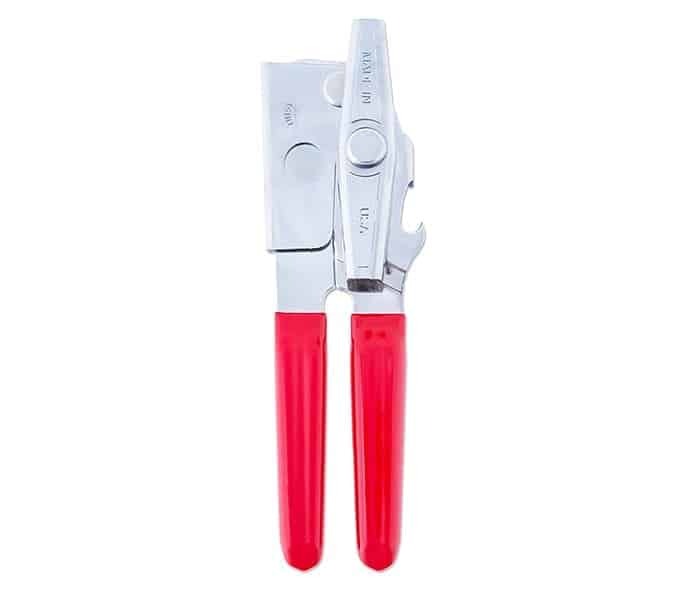 The only one I own is this Ez-Duz-It old school, faithful, tried and true can opener, easy-to-use manual can opener. It’s compact, doesn’t take up counter space and with red handles, I can always find it. (It does come in other colors.) Best of all, Ez-Duz-It works. It really does open cans without any hassles, tricks or annoying fails. About $10. 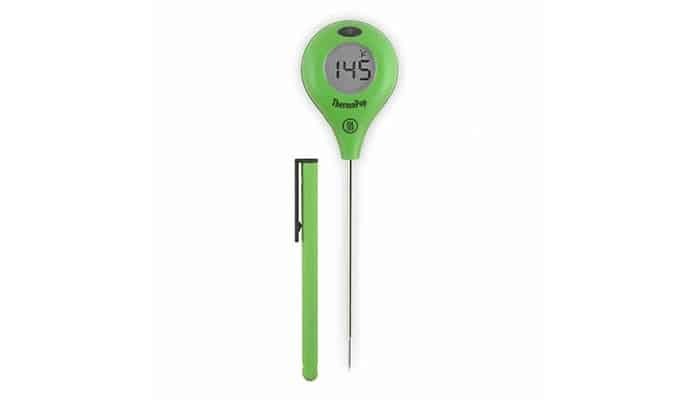 This ThermoPop super handy, food thermometer gives super fast readings for whatever you’re cooking—and it easily rotates so you can see it no matter the angle required. Even better it has a backlight! Comes in a bunch of cool colors. This is my old faithful because it’s simple to use and I know I can trust ThermoPop. About $35. Whether you have a stinky garbage disposal presently or plan to never experience such a thing—this is the gadget you need. Mr. Scrappy‘s secret is that he will clean under the splash guard (the rubber flange that keeps stuff from splashing out. That’s where gross, nasty stuff gets caught that you cannot see or reach. 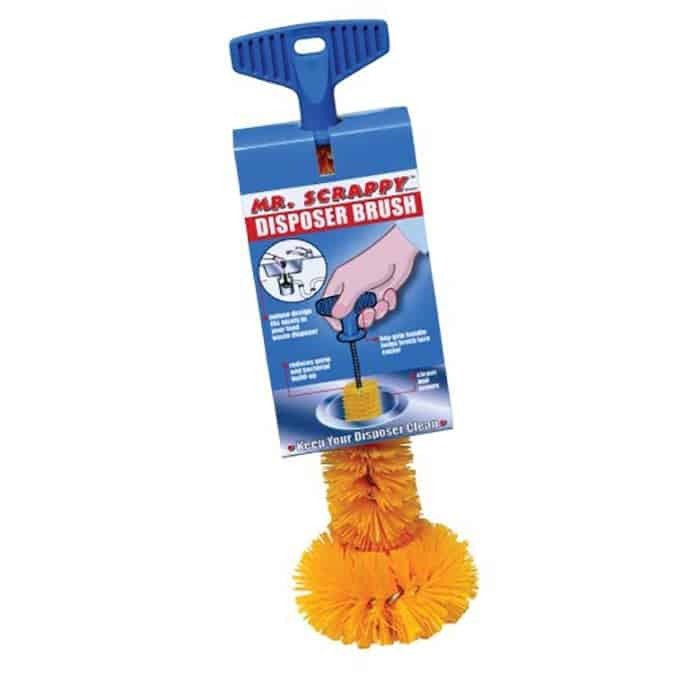 Just follow the package instructions for use and you’ll have a clean, fresh-smelling garbage disposal in a matter of minutes thanks to the original Mr. Scrappy! About $15. Recently, as part of my kitchen clean-out-reorganization-spring-clean- project, I discarded three useless citrus juicers and replaced them with this one, fabulous, manual gadget. The electric juicer was a piece of junk. It made a big mess, was difficult to clean, and took up too much storage space. The other two had rusted and had never worked well anyway. This new Zulay Lemon Lime Hand Juicer quickly found a spot on my “it’s a miracle!” list. Seriously easy to use (takes so little effort because it is ergonomically correct) gets out more juice than I would have thought possible—espeically from limes. It has two different sized “bowls” that make it even more useful because one of them always fits whatever I need to juice. Zulay is made of enamel-coated-metal, so no more rust. And so handy. I could not be any happier with my Zulay. About $15. It’s a splash guard for your favorite skillet. Frywall is totally genius. Made of silicone it can handle high-temp sauteing and frying, keeping all that popping grease contained and not all over the stovetop without closing up the top of the skillet, which would prevent you from reaching in to add, stir and move things around. Frywall comes in three sizes to fit 8-inch, 10-inch, and 12-inch skillets. (Make sure you’re using the right size.) It cleans up in the dishwasher then folds up neatly for storage. Frywall is such a cool invention! And it comes in several colors. About $22. No list of favorite gadgets for the home would be complete without including our all-time favorite, Deik HomeVac Cordless Stick Vac. I don’t know what I’d do without my Deik! I use it several times a day. It’s so handy, holds a charge like forever, is super lightweight (4.5 lbs! ), stands up on its own, has headlights (and boy can it point out the dust), has a swivel head to reach easily under and around tight places, picks up like a champ, and it’s easy to clean. Everyone loves Deik! About $100. 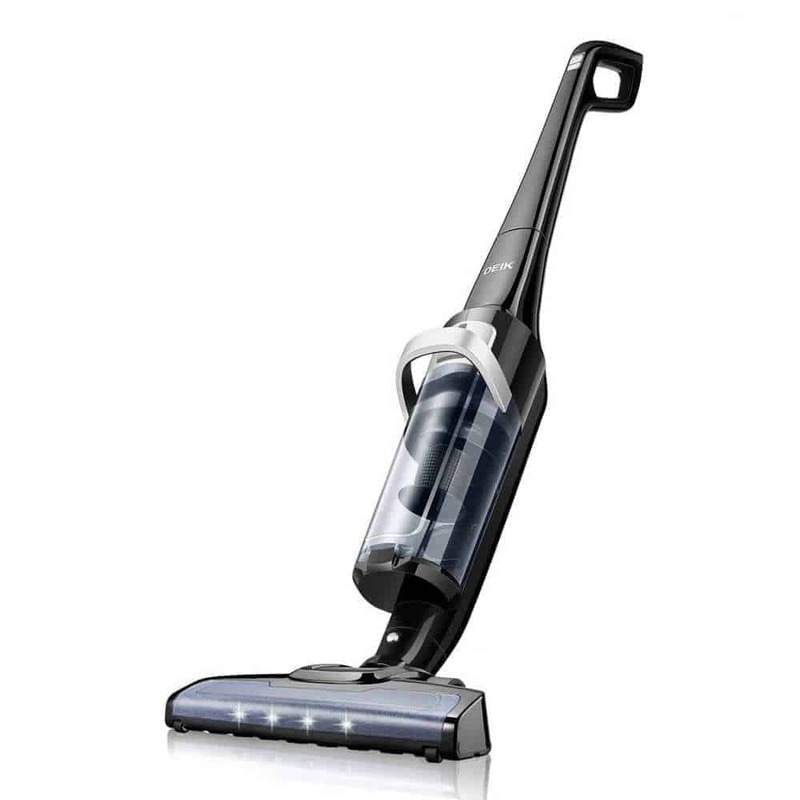 Even More: Best Inexpensive Stick Vacuum—Finally!